The Amazing Spiderman figure perhaps takes the record as the longest delayed Hot Toys figure of all time. From initial preorder announcement to final release was around 18 months I believe, with delay after delay with no apparent reason provided by Hot Toys. Fans' patience was wearing thin, and the hype was pretty much over by the time it was released overseas in October 2013. And you'd think with such a long delay, the release would be smooth, but it was anything but! Initial batches were plagued with the now infamous "broken shoulders" issue, which caused further delays due to a rumoured recall by Hot Toys. As with most Hot Toys releases, the box art is very nice, with this one following its Spiderman predecessors with a shoe box style package. The front has some very nice artwork, unfortunately showcasing a pose that is nearly impossible to achieve with the figure itself. The rear has a great photo of the figure itself in a nice web-slinging pose, and the cardboard insert within the box also has a great pose of the figure. How they achieved that pose is beyond me because I certainly wouldn't recommend stretching the suit to achieve it (see further down on my thoughts on the suit and articulation). The set of extras with this figure is very similar to the previous Tobey Maguire Spiderman figures. You get the usual array of hands in all sorts of pose options, from relaxed palms, to clenched fists, to jazz hands, to web slinging hands. The sculpting on the hands is really detailed, showing off the different textures. It also comes with some strands of webbing that can be used to mimic him shooting out the webs or hanging on them. They attached to the wrist by removing the hand and place the loop over the peg and then putting the hand back in. The effect is decent, but probably not too good for long term posing as the end of the web tends to dig into the suit, and the web also starts to sag due to its weight. The main accessory of course is the unmasked head sculpt of Andrew Garfield. I think the likeness is pretty good actually, and the swapping mechanism of the head sculpts is much better than the previous Black Suit Spiderman. I'm not sure why Hot Toys decided to give him a few scratches on his cheek for the battle damaged look, since nothing else about the figure is battle damaged. But either way, it's a nice display option if you want. The first impressions upon taking the figure out is the apparent lack of size! The figure is definitely thin and shorter than the previous Spiderman figures, but actually quite accurately reflects the look in the movie. In fact, I think the previous Tobey Maguire Spiderman figures are probably a little oversized. The suit is definitely the highlight for me, with a gorgeous texture that's very much like a thin version of a basketball. The suit has different texture across the different coloured sections, and is very flexible. It doesn't really hinder articulation at all, but despite its flexibility, can be quite fragile. There have been instances where the figure has been placed in very dynamic flying poses (as you would for a Spiderman figure), but leaving it in such poses over time leaves stretch marks and other damage on the suit. So I would not recommend leaving it in those poses for long. The masked head is done nicely, and is fully enclosed in the rubber suit. Moving the head from side to side creates a nice realistic fold to the neck area, but I would be careful with the seam on the suit and also the glued part underneath where it attaches to the body. On the point of articulation, the main sticking point with this figure are the fragile shoulders. As I mentioned before, the first batch of the figures had a number of instances where moving or rotating the shoulders caused breakages at the joint. Apparently this caused a recall from Hot Toys (which I don't really believe as it would've been far too late to re-engineer the shoulders for future releases in my opinion), and it was said that later batches did not exhibit the fragile shoulders. Well, when I first got my figure, there was indeed a broken shoulder! At first I didn't realise, but was annoyed that the left shoulder would not sit correctly with the arms at the sides. As this was because the shoulder had broken and there was no strength in the joint to hold the arm down! I did get an exchange, and the 2nd figure was perfect, so I think it's all down to luck really. To move the arms, you just need to be really careful and gentle, and make sure you hold that shoulder joint in place with one hand while moving the arm with the other. This should help minimise any potential breakage at that joint. If you're careful, you can actually get quite a bit of movement out of the arms and get lots of great poses. Swapping out the heads is very easy with their newly designed neck joint. It does create a seam at the neck area that is visible, but I prefer this to the normal head swap technique on the Black Suit Spiderman figure that resulted in many neck joints being pulled out altogether! Together with the previous Spiderman figures, you get a real appreciation for the unique style and design of the suit from The Amazing Spiderman. 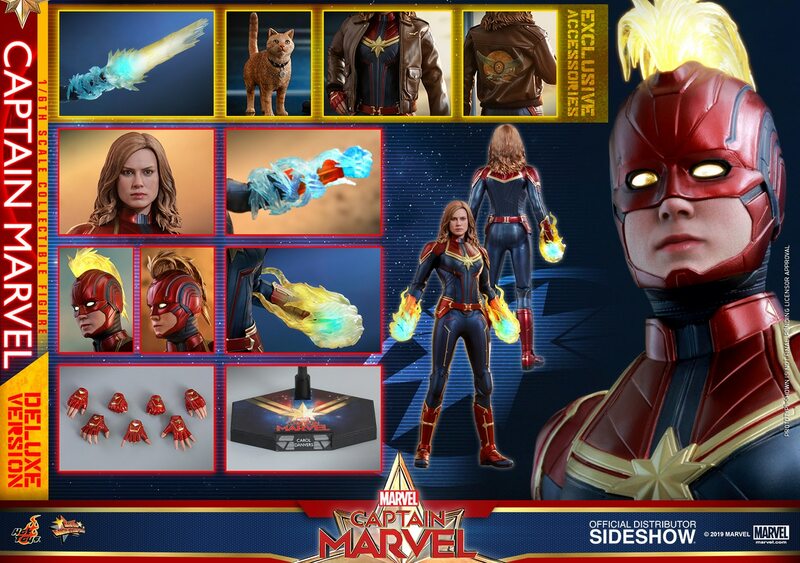 That's the main selling point for me on this figure, as it's different enough to generate some interest in the display, as opposed to having the same old comic styled suit all the time! Overall, I would still recommend this figure, especially if you like the movie or are a Spiderman fan. The only main issue is the fragile shoulders, but if there's no issue with the figure you receive, the joint should be good as long as you're fairly careful when moving the arms. The suit, head sculpt, and overall playability of the figure is still great, and it certainly complements the other figures nicely. Also, here is the initial video I posted that showed the broken shoulder on mine, and how you can check if yours is broken.